When Should You Book Your Photo Session? I have clients ask me all the time when the best time to book their session is and sometimes the answer is cut and dry and other times I have to reply the dreaded “it depends” which I know you all hate hearing. So, to make it easier, here are some tips on how to know when to schedule your session! So you’ve planned your big day and you’re shopping for a photographer. What an exciting time! You’ve already got the date set so deciding what time of year to schedule your session isn’t an issue, but now you need to book your photographer. This is where the “it depends” response comes into play. Some wedding photographers book as far as a year out and that could mess up your plans if you are getting married in the busy wedding season (June – September) So book as soon as you know the date! You aren’t crazy if you book it a year out (actually your photographer will thank you) but we also know that sometimes, wedding planning isn’t always as drawn out and maybe you’re getting married in 6 months or 3 months. There are plenty of wedding photographers available at a few months notice and depending on the date, you may even get lucky with one of the bigger ones who usually books a year out. My advice is book as soon as you know the date and shop around for photographers willing to work with a shorter deadline than usual. No matter what, your day will be special so enjoy the planning and get the hard work out of the way first! It’s easy for time to slip away from you and before you know it, it’s already November and you haven’t taken your Christmas card photos yet. Your usual photographer is booked and you’re scrambling to find someone with an opening. This can be nerve racking and frustrating. To avoid the mad rush, contact your photographer and book your Christmas card shoot in September. Most non-wedding photographers fill their books 2 months out, so booking in September will guarantee that your photos will be taken no later than October, which I believe is the best time of year for not only Fall photos but Christmas Card photos (which a lot of my clients intertwine the two). Maybe try asking your photographer if they allow outfit changes, that way you can take your cool-toned Fall photos, then have the family switch into their Santa sweaters! Most wedding photographers will include an engagement session with their wedding packages, so if you book your wedding photographer in time, booking will not be an issue. If you’re wanting a different photographer for engagement photos or if you want engagement photos before you’ve started even planning your wedding, then following the 2-months-ahead guideline will suffice. Obviously, brides-to-be (or grooms-to-be) don’t always know when the engagement is coming and so planning ahead for that is nearly impossible as far as the time of year goes but booking your engagement session soon after the question is popped is as safe bet. 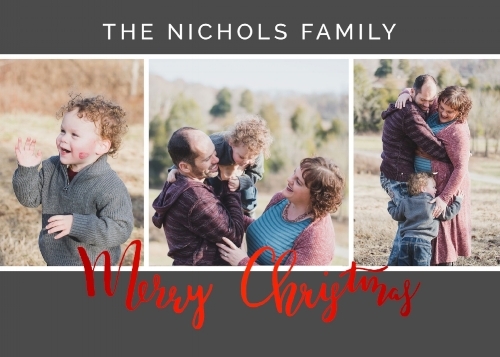 Hopefully, if you’re wanting something soon, and it’s not a busy time of year, your photographer will be able to squeeze you in. I hope that this guide has helped put you at ease for your future photo booking needs. As always, please do not hesitate to contact me with any questions regarding when to book your session! It can be confusing and I love helping you all find the perfect time to capture your moments.